Bitcoin is the most popular and the first cryptocurrency on the planet. It is the digital currency that set the tone for the current developing industry and it this time it is the most valuable coin, with the biggest market cap and the biggest price in US dollars. Bitcoin tries to function exactly like the usual or fiat money does, but also comes with some brand new features that are possible due to the technological development we saw in the last fifteen years. The blockchain technology is at the core of the Bitcoin system and it is believed to be one of the most promising technological discovery. Bitcoin is used for the exchange of goods and services but also as a store of value. Retail and institutional investors are more eager to invest in cryptocurrencies, especially bitcoin due to their high potential for profit. The Bitcoin project started back in 2008 when a person with the pseudonym Satoshi Nakamoto published a paper called “Bitcoin: A Peer-to-Peer Electronic Cash System” on a cryptography mailing list. His work talks about using a peer-to-peer network in order to build “a system for electronic transactions without relying on trust”. It is said that Nakamoto managed to mine around 1 million bitcoin before he disappeared. There is still no information about the true identity of this person. However, it seems like the reins had been handed to Gavin Andresen, a developer which had been one of the most prolific figures from the Bitcoin industry. Andresen is the founder of the Bitcoin Foundation, Bitcoin community that aims to develop the system. The whole idea of cryptocurrency is based on the fact that money as we know today has a series of flaws that could be solved. Bitcoin tries to solve those issues and comes with some brand new features: decentralization – all data from the system are stored in a distributed database made possible with the blockchain technology, transparency and most important no government intervention. Money as we know it had been artificially inflated for a few decades by the central banks across which lead to the diminishing purchasing power and reduced standard of living. Bitcoin solves that issue and it is not subject to government intervention or inflationary pressures. Can you mine for Bitcoin? How is Bitcoin mined? 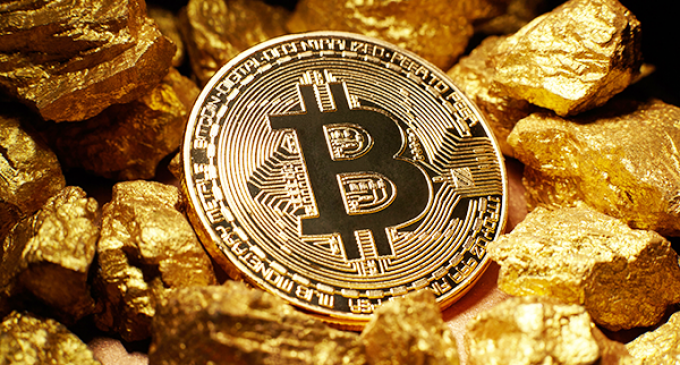 Bitcoin is one of the cryptocurrencies that can be mined. To explain the mining process we need to mention first the ledger. It is a long list of blocks and each block contains information about financial transactions that had been made. After each transaction, a new block needs to be added to the ledger. Here is where the miners step in and use computational power for that. They take the information and apply a mathematical formula to it, turning it into a sequence of numbers and letters knows as a hash. The hash is stored and the end of the blockchain at that point in time. Miners use software designed for this process and each time a hash is created, someone receives 25 Bitcoin for it. However, to make things more complicated, a second thing is needed and that is the proof of work. In order to create new hashes, miners need to change the data they are using, with a random piece of data called nonce. Miners from the system are competing to find a nonce that works and the ones who manage to do it, receive rewards in Bitcoin. Bitcoin can be bought from a Bitcoin exchange. Exchanges are online places where you can sell fiat money in exchange for cryptocurrencies at the current market price. Also, you can use them to switch from a cryptocurrency to another one. One of the oldest bitcoin exchanges is Coinmama, which functions from 2014. It had more than 500,000 customers thus far and it also has a good reputation in play. Local Bitcoins and HITBTC are other two exchanges for bitcoin and you can find information about them on our cryptocurrency exchange page. How can I sell my Bitcoin? If you are one of those that want to sell Bitcoin for fiat money or you just want to sell it for another cryptocurrency, you can use exchanges again. Keep in mind that each exchange platform has support for different coins, so you need to document yourself before opening an account. We have a page dedicated to exchange platforms where you can find more valuable information. Which Bitcoin wallet to use? In order to store Bitcoin, you will definitely need a wallet. In this case, you have many options. There are hardware wallets, which have an increased level of security and can be used for cold or offline storage. Digital Bitbox and Ledger are two examples and you can find them on our physical wallets list. The second category of Bitcoin wallets are online and are easy to use when it comes to spending the coins that you have or make transactions. Since Bitcoin is the most famous cryptocurrency, most of the wallet providers have support for Bitcoin. Coinbase and Bitgo are two of the wallets you will find on our list. You can buy and sell Bitcoin on several online exchanges, such as the ones we have already mentioned, but in order to do that, you will need a Bitcoin wallet. In order to avoid that, you have another better alternative in the online trading brokers. You can trade cryptocurrencies exactly like forex and stocks directly from the brokers’ account. You can find a few brokers that have included cryptocurrencies on their instruments list on our website as well.